There are many essential oils for wasp stings the family herbalist can use, both as a first aid treatment, and to speed up healing. Here’s our pick of the three best oils to use. After the initial vinegar treatment apply neat essential oil to the sting. This will prevent infection, relieve pain and inflammation. 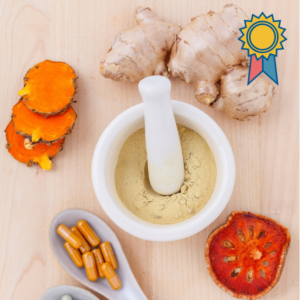 You can also use a herbal ointment, or a diluted herbal tincture. IMPORTANT: Wasp stings affect some people seriously. If this is the case, summon urgent medical treatment. After the first aid treatment your can continue using the essential oils for wasp stings discussed below to reduce pain and inflammation. Start with a ½ percent solution. Add 3 drops of essential oil to every 30 ml ( 2 tablespoons of carrier oil). Grapeseed oil is easily absorbed and its astringent effects are useful for wasp stings. Adding a few drops of calendula oil, if you have it on hand, will also be beneficial because of its anti-inflammatory properties. If no irritation results after the initial application you can increase to a 1% solution. Add 6 drops of essential oil to every 30 ml ( 2 tablespoons of carrier oil). In a first-aid emergency one has to reach for an essential oil that you’ll find in the home apothecary. Most family herbalists will have all three of the below in their apothecary. The three may be combined for a topical application for wasp stings. Lavender grows throughout the Mediterranean region as well as in England, Russia and Australia. The fresh stems and flower buds (flowering tops) are used to extract the essential oil with steam distillation. The essential oil is a pale yellow liquid with a sweet floral-herbaceous aroma. The odour effect is uplifting, calming and refreshing. Lavender essential oil is antibacterial, pain-relieving, healing for wounds, soothing for skin diseases, deodorizing, antiseptic, fungicidal, rejuvenating and anti-inflammatory. It is helpful for skincare (most skin types), acne, allergies, athletes foot, boils, bruises, eczema, dandruff, dermatitis, burns, chilblains, psoriasis, ringworm, and insect bites and stings, also as an insect repellent. It is also helpful for asthma, earache, coughs, colds and flu. catarrh, laryngitis, headaches, insomnia, migraine, nervous tension, PMS and stress, related disorders. Headaches disappear with cold lavender compresses. Lavender blends well with citrus essences, cedarwood, clary sage, coriander, frankincense, geranium, juniper berry, neroli, rose, petitgrain and pine. In addition lavender strengthens the effects of other oils when used in blends. Roman chamomile is native to southern and western Europe, and naturalized in North America. The genus name, Chamaemelum, derives from the Greek word khamaimelon, meaning ‘earth apple’, alluding to the plants apple-like scent. The essential oil, a pale yellow liquid, is captured by steam distillation of the flower heads. The sweet dry aroma has a apple-like nuance with a warming calming effect. It makes a good skin care oil suitable for most skin types and is helpful for acne, allergies, burns, eczema, inflamed skin conditions, earache, wounds, menstrual pain, PMS, headaches, insomnia, nervous tension and other stress related disorders. It blends well with citrus oils, clary sage, lavender, geranium, neroli, rose and ylang ylang. CAUTION: The herbal remedy is generally safe for home use. The essential oil, however, must be avoided during the first trimester of pregnancy because it may stimulate menstruation. The oil is highly odiferous, so use in the lowest recommended quantities. Native to Australia but widely cultivated in the southern hemisphere. Eucalyptus was widely planted to dry out swampy ground, notably in Italy and California. An important timber species, used for the keels of ships in the 19th century. Commercial oil distillation started in Australia in 1854. Eucalyptus globulus is widely used as a flavouring in pharmaceutical products and in spot removers for oil and grease. It is rich in eucalyptol and has a very strong odour but because of a rectification process (re-distillation of the essential oil) its olfactory richness is lost. Eucalyptus radiata‘s more subtle aroma is generally more pleasant to breathe. The essential oil is obtained from the leaves and small twigs. It is generally known for its strong antiseptic and healing effect on infections. Because of it’s antiseptic, anti-catarrhal, antispasmodic and stimulant properties it’s helpful in a vast range of cases: arthritis, asthma, bronchitis, burns, colds and flu, cough, cuts, fever, cystitis, catarrh, diarrhea, emphysema, exhaustion, fluid retention, fibrositis, headaches, herpes, inflammation, kidney infection / stones. laryngitis, measles, mood swings, muscular pains, nervous disorders, neuralgia, rhinitis, rheumatism, sinusitis, sprains and strains, tonsillitis, throat infections, and urinary infections. Eucalyptus oil requires dilution with a carrier oil before topical application and should only be used in moderation. Use small circular motions to apply eucalyptus oil to affected areas and on reflex points to relieve muscle and joint discomfort. Eucalyptus blends well with: cedarwood, cypress, geranium, chamomile, ginger, grapefruit, juniper, lavender, lemon, marjoram, orange, peppermint, petitgrain, pine, rosemary, tea tree, and thyme. Contraindications: Eucalyptus must not be used in conjunction with chemotherapy treatment. Do not take essential oils during pregnancy. Do not take essential oils if you suffer from asthma. People with epilepsy should consult an aromatherapist before using essential oils. If you are undergoing homeopathic treatment, do seek the advice of your homeopath before embarking on the use of essential oils for sore throat. 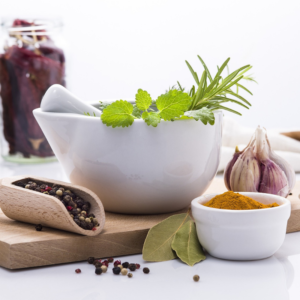 The usual safety precautions for using herbal remedies also applies to essential oils. Refresh your memory if you need to. 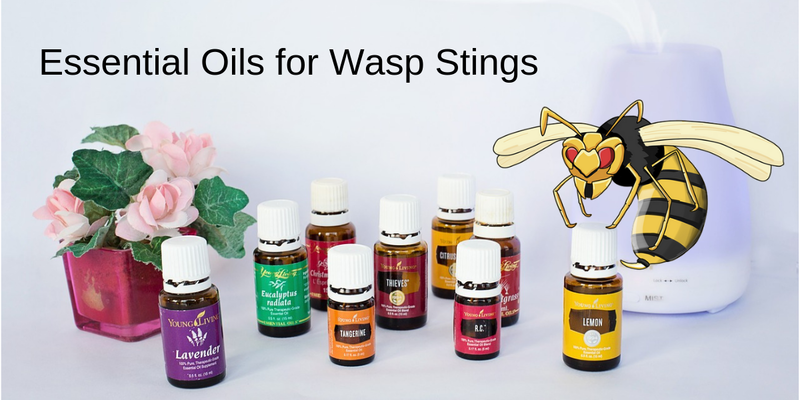 Do you use essential oils for wasp stings? What’s your favourite oil? Please share your experience in a Reply below. The information provided is for educational purposes only. Used as a reference, not as a means of diagnosis and/or treatment, it can act as a guide, but only with the cooperation and advise of trained professionals. It is not within the scope of any collection of information to perform the medical duties of the health care profession. Always consult with your physician or other qualified healthcare provider before embarking on a new wellness program. If you are pregnant or lactating, taking medications, have a health condition or are planning a medical procedure, you should consult your doctor or other healthcare provider.